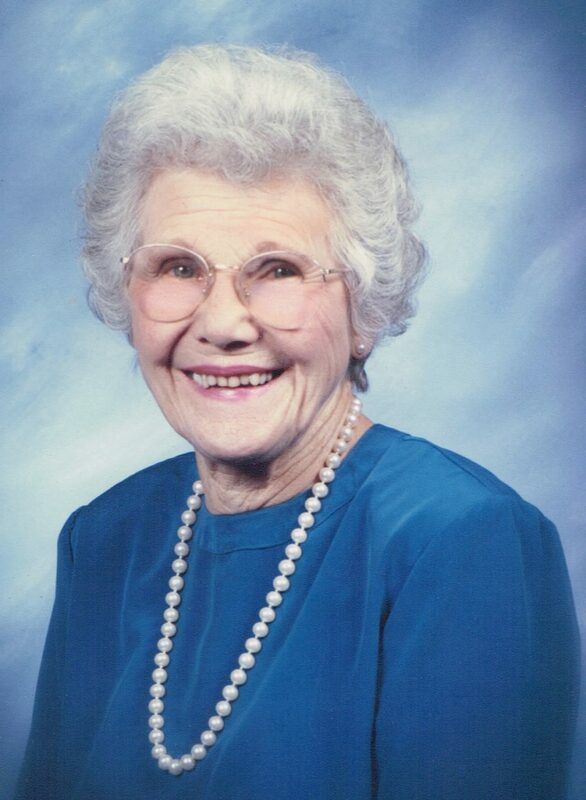 Aileen June Collinson peacefully passed from this world on January 27 at age 93. Born in a farmhouse in Eden, Idaho, she would occasionally ride her horse to school. After graduating from high school, she attended the College of Idaho, majoring in music. She fondly recalled seeing Frank Sinatra in the Tommy Dorsey band in Boise. After 2 years at the College of Idaho, she transferred to Colorado State University which she attended for one more year before marrying Roger Collinson, who was finishing up his degree in Veterinary Medicine. They lived for a short period of time in both Maryland and Texas, before settling in Northern California: Chowchilla, Santa Cruz and Los Altos. When Rog opened the first veterinary hospital in Los Altos, they had found where they would raise their three children. She passed up an opportunity to sing professionally as it would have taken too much time from her family. After their kids had graduated from college, they moved to Idaho for four years before settling in to Truckee for the rest of their lives. Her great joys in life were her family, singing and music, Giants baseball and 49er football, walking, snowshoeing, downhill skiing (which she started in her 50’s), a good glass of wine and especially cats. Aileen was involved in numerous philanthropic activities, including helping out at the Stanford Children’s Hospital (Country House), organizing blood drives and serving as president of the Los Altos PTA. In Truckee, she was a member of the Republican Women’s Group, a docent at the Old Jailhouse, volunteered at Truckee Elementary and a driver for Meals on Wheels. She was in her church’s choir in both Los Altos and Truckee. Anyone who met Aileen immediately liked her because she was so kind, caring and forgiving; she would go out of her way so to not disrupt or interfere in any way. As a child, she took all of her dolls to the Japanese internment camp near her family’s farm. She is predeceased by her parents, Roy and Violet, her sister Patricia and her husband, Roger, who passed away in 1993. She is survived by her 3 children, Roger (Rhonda), Patti, and Brent (Dianne). Aileen has 4 grandchildren, Rodger (Amanda), Scott (Ashley), Spencer and Max and 2 great grandchildren. A Memorial Service will be held at the Methodist Church on Church Street on Sunday, February 11 at 3:00 p.m., followed by a Celebration of Life at Zano’s. Come and enjoy a glass of wine in memory of her long and happy life. The family requests that any bequests be made to Sierra Senior Services or the Truckee Donner Historical Society.